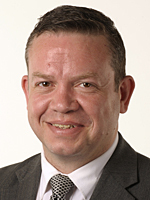 Chris Oxlade has run a radio production and event company in Crawley as well as being a West Sussex County Councillor for Bewbush and Ifield West since 2009 and a Crawley Borough Councillor for Ifield since 2011. Chris is dedicated to the local community and good causes, working with many charities and voluntary groups whilst working as a presenter for Crawley’s radio station, Mercury FM for 20 years. He has been instrumental in securing funding for local causes and strives for equality in Crawley. Born in Crawley Hospital and raised in Langley Green and Pound Hill, he has lived in and loved Crawley his entire life. He wasn’t always involved in politics, he was focused on running his local company and getting stuck in with Crawley’s community groups and local causes before entering the political world aged 37.